a good yearly interest for the savings, usually higher that the one offered by other financial institutions. a good security of the funds . The professional level of the staff is under a permanent scrutiny, we consider that one of our assets. Besides the fact that our employees graduated schools according to their position, all of them were involved in the professional training modules organized by the territorial union (UTCAR Hunedoara) under the auspices of the Romanian Banking Institute. This allows our staff to give competent, complete financial counseling to our members in a proper cutomers relation environment. As it is expected in a professional financial institution, the activity is permanently supervised by Auditing Committe elected by members. Additionally, as members of the territorial association of the credit unions, we benefit from the guidance, support and supervising of the specialized departments of UTCAR West Region. In accordance to the law, CAR Vulcan IFN is registered by theNational Bank of Romania as a not for profit non-banking financial institution and it is continuously monitored bt NBR. After more than two decades we can proudly confirm that the main goal of our association, the mutual financial aid, is secured. We can also assure our present and future mambers that we will contiue our efforts to maintain and enhance the level of our services, respecting the spirit of our Statute and the Romanian laws. The traditional "A type" loan: maximum three times the value of the shares account for applicants with a seniority of under 3 years, or 3 to 5 times in the case of applicants who have been members for more than 3 years. The reimbursement term is up to 5 years and the endorsements are according to the financial status of the applicant and to the size of the loans. Optional "B type" loans: not conditioned by the size of the shares account, in amount of up to 10.000 lei, the reimbursement term is up to 5 years and the endorsements are according to the financial status of the applicant and to the size of the loans.. According to the decision made by the members at the annual Conference, we plan to aquire a new office space in downtown Vulcan, inorder to improve the conditions offered to the members. We will also continue to maintain the technical level of our office and IT equipments. We are committed to continue offering the best possible financial services, and will keep efficiency and security of the funds under permanent scrutiny, the way the Romanian laws and out Statute requires. As not for profit associations of individuals, with the goal of offering mutual financial aid to their members, the credit unions established a one and a half century tradition of financial services with serious benefits for the Romanian Society. The Vulcan Credit Union IFN was founded at August 16-th 1990 based un the voluntary effort of a small group of citizens of Vulcan, the ones that allowed the instution to quickly pass the inherent difficulties of the beginning and grow into a healthy financial establishment. A few of these first members were: Mucuţa Tudor, Costache Berta, Haraţiu Jan, Murarek Ştefan, Cucu Rafila, Gheorghe Gheorghe, some of them part of the first board of the credit union. The scope of the association, according to the Statute and the Romanian laws, is to offer mutual financial aid by granting loans based solely on the members savings. The interests of the granted loans are meant to cover the operational costs of the institution, create the statutary funds and especially to reward the members social funds. CAR Vulcan IFN started with 275 members several decades ago, and activated in different rented locations until 1998. The seriousness and proffesionalism of the board and he staff materialized in a permanent ascension of the institution, gaining the trust of the community. This meant permanent increase of the members number, attracting the improvement of all financial indicators troughout the years. In the last couple of years we decided to diversify our range of loans. We launched promotional holiday loan campaings, occasioned by Christmas and Easter, both of them received very good feedback. In order to deliver rapid and useful infos regarding news and promotional offers, we introduced the JetSMS system that allows us to send informative SMS messages to our members. The fact that, despite the prolonged crisis and the obvious social problems of the Jiul Valley the institution keeps achieving its goals is a sign that it offers valuable and trustworthy financial services to the community and gives us the power to carry on. 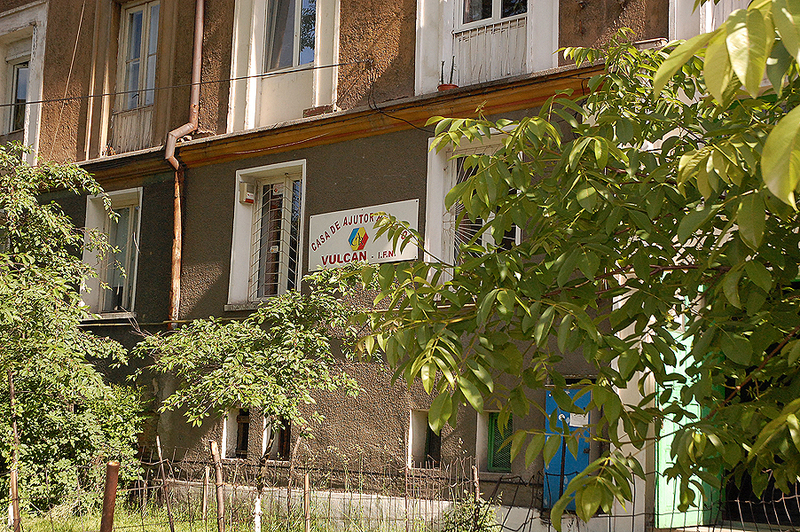 The main office of our institution was modernized in 2005 in order to improve the quality of the services and offer proper conditions to our members. The IT infrastructure, an important part of our activity, is kept permanently up to date, and the software component, offered by the territorial union, gives us the possibility for prompt, correct, secure and efficient services. We also plan to aquire a more central office space for our headquarters.